The move is a historic shift for the world’s biggest diamond miner, which vowed for years that it wouldn’t sell stones created in laboratories. The diamonds will be marketed in the US under the name Lightbox, a fashion jewellery brand, and sell for a fraction of the price of mined gems. The strategy will create a big price gap between mined and lab diamonds and pressure rivals that specialise in synthesised stones. A 1-carat man-made diamond sells for about US$4 000 (R50 000) and a similar natural diamond fetches roughly $8 000. De Beers new lab diamonds will sell for about $800/carat. “Lightbox will transform the lab-grown diamond sector by offering consumers a lab-grown product they have told us they want but aren’t getting: affordable fashion jewellery that may not be forever, but is perfect for right now,” said De Beers CEO Bruce Cleaver. “Our extensive research tells us this is how consumers regard lab-grown diamonds — as a fun, pretty product that shouldn’t cost that much — so we see an opportunity,” he said. There’s been increasing concern in the industry that expensive diamonds aren’t appealing to millennial consumers, who are often more likely to spend on high-priced electronics or holidays. Diamonds have also come under fire for environmental and human-rights concerns related to mining in poor communities in Africa. 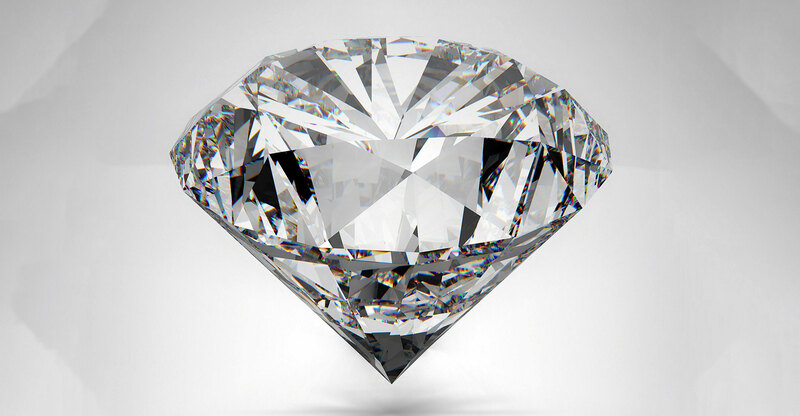 Unlike imitation gems such as cubic zirconia, diamonds grown in labs have the same physical characteristics and chemical make-up as mined stones. They’re made from a carbon seed placed in a microwave chamber and super-heated into a glowing plasma ball. The process creates particles that can eventually crystallise into diamonds in 10 weeks. The technology is so advanced that experts need a machine to distinguish between synthesised and mined gems. While De Beers has never sold man-made diamonds before, it’s very good at making them. The company’s Element Six unit is one of the world’s leading producers of synthetic diamonds, which are mostly used for industrial purposes. It has also been producing gem-quality stones for years to help it tell the difference between natural and man-made types and to reassure consumers that they’re buying the real thing. Man-made gems currently make up a small part of the $80bn global diamond market, but demand is increasing. Global diamond production was about 142m carats last year, according to analyst Paul Zimnisky. That compares to lab production of less than 4.2m carats, according to Bonas & Co.
For example, last time the two sides negotiated, De Beers agreed to move all its sales staff from London to Botswana. In the talks, one of De Beers’s levers is the threat of synthetics to Botswana’s economy.